AllRisk was recently in the process of moving to a new office. 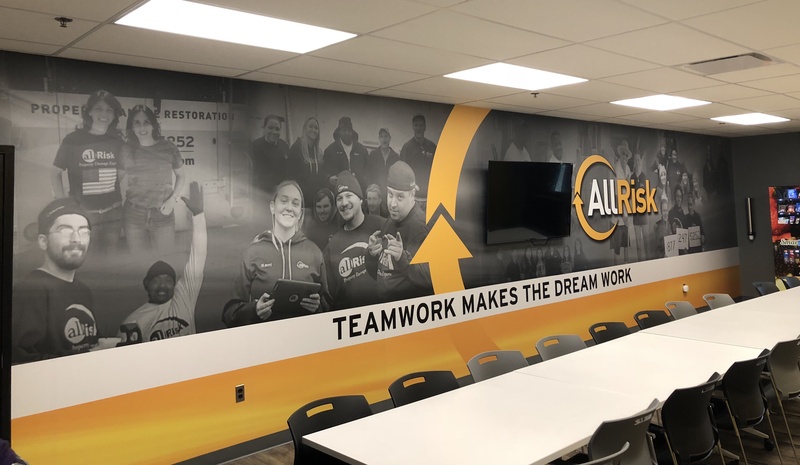 While inspecting the building's new break room, their management team saw a large, empty, white wall and knew they had a great opportunity on their hands. They decided they wanted to use this space to both visualize their company culture of teamwork and reinforce their corporate branding. 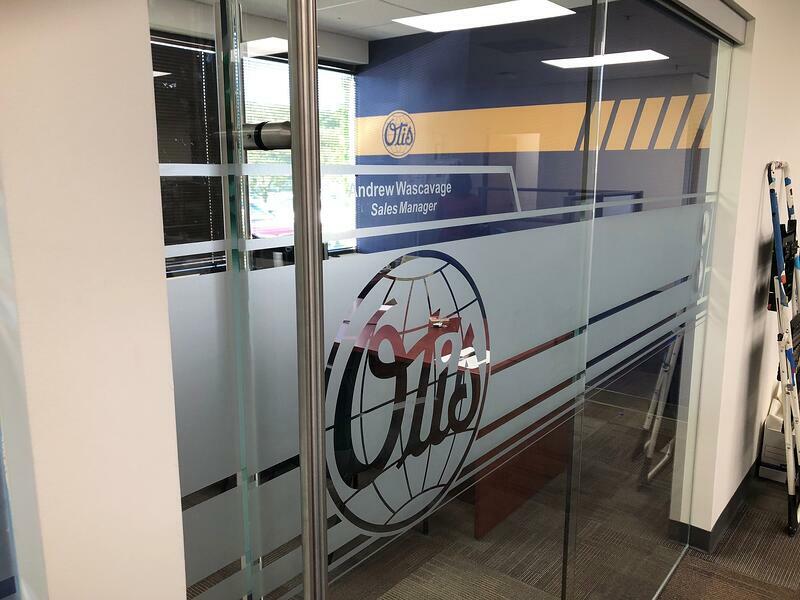 In order to turn this idea into a reality, they knew who to call - Sunrise Signs! Our two companies have been partners for many years: we’ve helped AllRisk execute their branding goals through promotional materials, trade show displays, and fleet vehicle wraps.